The scrape and scramble, the glare of the light and a frigid night sky. On a Canadian ice rink, glimpses into the bigger swell of time, memory, and perhaps a bigger presence. There's nothing quite like the glow of neon lights on a small town, outdoor, Canadian ice rink. The light illuminates our breath as we glide over the ice, the age old sound of skates scraping as they scramble for the smooth puck tripping across the illuminated rink as though with a mind of its own. The glare of artificial light illuminates the boards that bear generations of history in those scratches and warps. 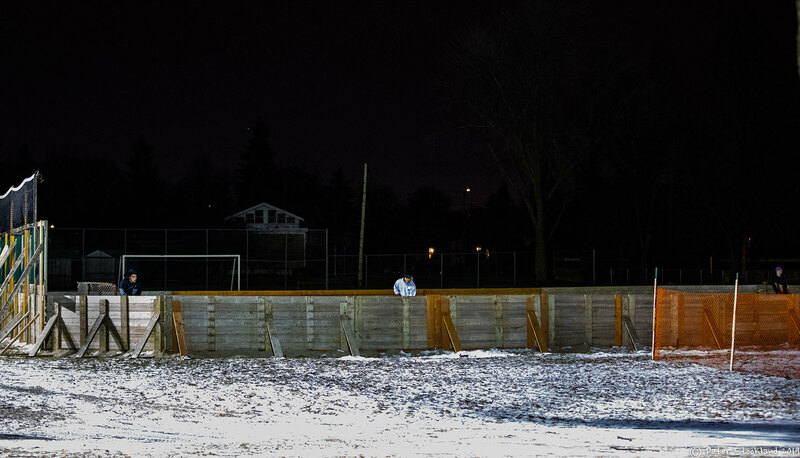 Years of a game much beloved played under the frigid night sky. I look beyond the neon glare in the bright black sky and feel, if only for a moment, that we are not alone.